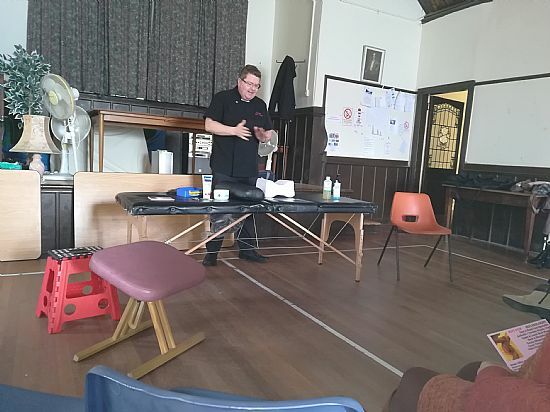 Steven Clifton talked to the Shore Activities Club about the benefits of hand on approaches for improving the body's functioning and bringing ease. Steven uses reflexology, massages and pedicure. Several members of the club took up the chance for a booking with Steven who comes to people's homes. Tel. 07823772640 for further information.